I am Devika Das, a professional Content Strategist, a Published Author, and a Theatre Artiste. Writing comes naturally to me. I have fought stereotypes and am creating my own identity. A Content Strategist helps devise a sound strategy to create awareness about the organization through powerful content that is engaging, factual, and helps readers understand the way an organization does its business. What motivated you to become a Content Strategist? I never had a career plan chalked out for myself. I began writing poetry since the age of 13, then graduated to blogging in 2008. 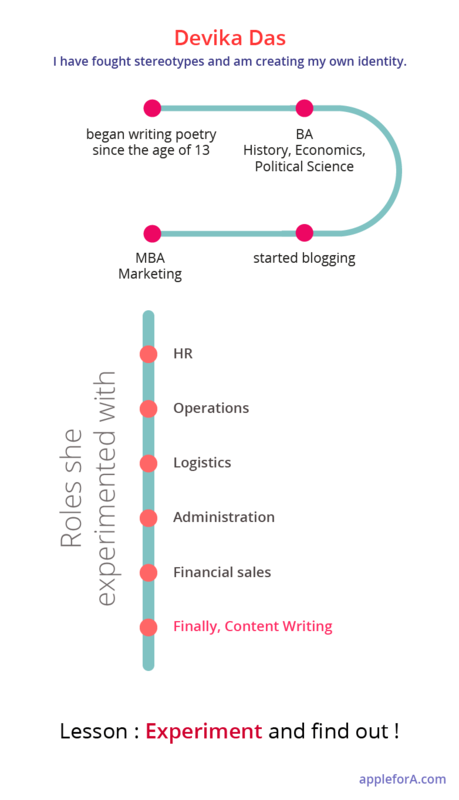 Later, I experimented with various roles like HR, Operations, Logistics, Administration, Financial sales, and finally was satisfied and contended with the profile of Content Writing, having 4+ years of industry experience. What are your specific activities? Writing blogs on trending topics in the industry. Social media posts to create brand awareness. Write well-researched white papers by acquiring inputs from technology experts. Analyse performance of various content types among competitors. Write SEO-based content to increase website’s ranking on various search engines. Coordinate with developers and SME to understand the context clearly with no ambiguity. This helps me write high-quality content. Write various types of content across different industry verticals. Read about various trending topics and blogs related to content marketing. I have also attended conferences conducted by CMS Asia and webinars by Digital Vidya. I like to learn new things which helps me increase my knowledge base in different topics. What did you learn after you started your career? I always wanted to pursue acting as a career. But finally I am satisfied with being a content strategist since it keeps my passion of creative writing alive. I also pursue theatre in my spare time as I am acting in plays all across India. I have learned that Content Marketing gives you a scope to attain more knowledge about various fields, it has a wide horizon to explore which no other career offers. What things would you do differently in preparing for this career or advice to your younger self? Read more about different topics to understand your niche. Keep an eye on the current opportunities and grab a good opportunity with both hands. Write features, articles, blogs, guest blogs, and other content types to sharpen your writing skills. Attend workshops/seminars/conferences to network with your peers and understand the scope of your profile in the industry. Opportunities to write varied content types, scope to learn and grow, work-life balance. Stay up to date with industry news, tough deadlines to produce high quality content, write on topics that you find less comfortable. What type of Content Strategists will be high in demand in the near future and your future aspirations? One who has a keen interest to learn new things, innovative and loves to express opinion and share his/her views with the public. Future Aspirations – To write a bestseller and travel to a new destination every month. BA (Pass Course) – Mount Carmel College, Bangalore. MBA (Marketing & Finance) – Army Institute of Management, Kolkata. Office Administrator – India literacy project. Outbound Coordinator – Ericsson India Pvt., Ltd.
Senior HR Executive – Symbiosis Management Consultant, Jaipur. HR Manager – Shree Trading Corporation, Jaipur. 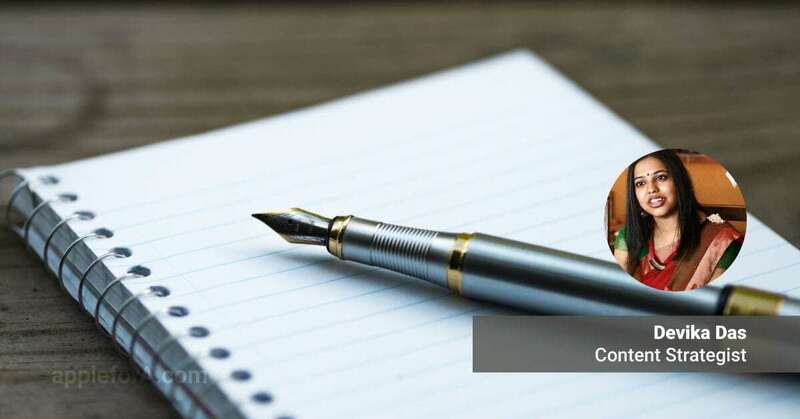 Content Writer – Rent A Brain, New Delhi. Senior Content Writer – Kellton Tech Solutions Pvt., Ltd., Gurgaon & Hyderabad. Shifting to the position of Content Strategist in a new company in Hyderabad from 15 Sep 2017. What sort of experiences helped prepare you most and what are you proud of? Knowledge never goes wasted. Education has made me a stronger person. What are the skills and education required to be a Content Strategist in 2020? Content Marketing Institute has good resources to learn about content marketing. Therefore, an aspirant can attend workshops conducted by CMS Asia to network with content strategists from different companies. Read books to increase your knowledge about different topics and various writing styles. Start blogging to acquire audience response to your writing style. Think well before you write. Research at least 4 to 5 previous content sources to create original, high quality content. Inculcate a habit of writing daily- even 100 words is enough, but do not stop writing. Therefore, your writing will evolve gradually. Reading books, writing, listening to music, traveling and theatre. What are some alternate career options for a Content Writer? What do you think potential recruiters look for in a Content Strategist? If you love to read and research on different topics, you should choose this career. Secondly, if you can relate with the thought process of the leadership and translate their ideas into good content, this career is the best fit for you. You should have an urge to interact with the public and share your views with them. You can enroll for a freelance project or internship to understand your comfort zone in writing. Any recommended resources for students who are interested in Content Writing? What do you think everyone leaving higher secondary school should know, especially those who want to be in Content Creation? There are multiple websites and courses on content writing across the globe. Read newspaper daily to stay abreast with latest news. It is important for a student to realise that he/she has a unique ability, which he/she must invest time to explore. Don’t succumb to peer pressure and don’t compare yourself with others. Have a clear goal of your life, based on your likes and dislikes; your strengths and your weaknesses. These are not same for everyone. So create a mark for yourself and challenge yourself every day. You must develop an urge to learn something new daily, because learning is a continuous process and you are never too old to learn.